How Veterans Theater is Emerging by Anticipations – by David M. Boje, Ph.D.
How you can help: Click on GoFundMe – thank you! Our Foundation is Called the “Antenarrative Foundation.” Antenarrative is a term I invented (Boje,1991) that has grabbed hold, and taken root in the social science literature. Antenarrative is a five-fold meaning of the word ‘ante’ in relation to ‘narratives’ that have formed in the public sphere. Ante means (1) before, (2) bet, (3) beneath, (4) between) in (5) becoming of care.”Care” is defined as “ahead-of-itself-Being-already-in (the world) as Being-alongside entities which we encounter (within-the-world)” (Heidegger, # 250). We call it simply, the ‘heart-of-care’. We have a whole totality of involvements that took place over the past 18 months, and more are taking place today, plus what involvements are still to come, and are outstanding. For more on the meaning of Antenarrative, please see ANTENARRATIVE BLOG. 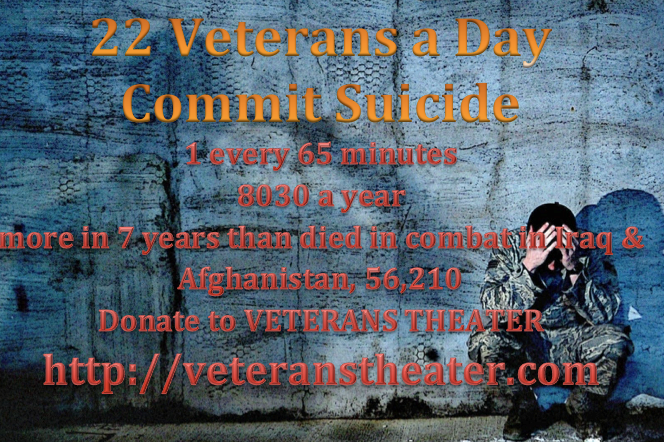 Here I will focus on how Veterans Theater is one of the programs of Antenarrative Foundation. Yesterday I had lunch with Mrs. Sam Muir. She offered some good advice, and a possibility for Veterans Theater. And I met with officers of Phi Alpha Kappa Omega at NMSU. We had a great time brainstorming ideas for National Association of Social Work – New Mexico (NASW-NM) conference. Phi Alpha Kappa Omega at NMSU has proposed to bring Veterans Theater to the next National Association of Social Workers annual conference, which will take place in Albuquerque, NM on February 24, 2016. The overall objective is for Veterans Theater to publicize basic knowledge on homelessness, and other concerning issues among veterans at the conference. We hope to educate the social work practice on barriers veterans encounter through the Veterans Administration, and engage them in real-life stories theatrically performed by homeless veterans. We anticipate this to be an innovative way to demonstrate what a Veteran may experience in different scenarios through theatrical enactment as a mode of storytelling. We also would like to follow Sam Muir’s advice, and hold a ‘backers audition’. Backer’s Audition is something that happens in the commercial theater when you are trying to raise money to bring a project on to the stage. Producing a Veterans Theater show for an audience is a small business and entrepreneurship venture. As a program of the Antenarrative Foundation, the venture must conform to the laws and regulations of our 501 (c) 3, in making charitable donations. This enables us to raise capital without the backers (investors) in the show taking undue risk. Antenarrative Foundation is properly organized to insure that its non-profit status has integrity. We are now recruiting charitable investors to become co-producers through a series of backer’s auditions, in New Mexico, in California, and elsewhere. We want events that are intimate, in a rehearsal hall, where there is very little distance between the actors and backers. We want a stage manager to plan and facilitate the backer’s audition, leaving the Veterans Theater actors, to do their acting. We would like also to have it catered, and to have two video screens, so we can cut between Veterans Theater actors telling their stories, and trained seasoned actors, acting on the stage in live performances. This means rehearsals, and having a cast of Veterans Theater actors who had the experience, and the cast of professional actors to interpret it, as well as participation of the sound, lighting, and video crew. Professional actors need to be paid according to union rules and governing pay and working conditions. We then invite potential backers to the audition. We are soliciting investors in the venture of developing a fully scripted play, putting it on the road, and/or in digital rendering. In our case, the money invested, is for charity, by those who care to participate in the venture. Finally we sign up interested and eligible investors to make their investments, all at once or over some time period. For the Phi Alpha Kappa Omega at NMSU plan to have Veterans Theater to the next National Association of Social Workers annual conference, we have an innovative plan to raise money and awareness. In November, we are scheduling a Camp-in, in Tents, at NMSU, where members of Phi Alpha Kappa Omega and Veterans Theater, will camp out, on campus. this money will help us fund a van, its insurance, meals, lodging to go to the National Association of Social Workers annual conference. We would also like to host a Backer’s Audition there, to develop the show, put it on the road, at your location. Veterans and Theater (http://veteranstheater.com ) is the first program of Antenarrative Foundation. This is education and outreach by the veterans and/or homeless to the community, using theater skits to showcase the ‘Living Story Web’ of veterans and/or homeless own lived experience here and now, in relation to ‘Dominant Narratives’ (& counternarratives) that stereotype or stigmatize them, along with the ‘Antenarrative processes’ that connect them. Legacy Ranch (http://davidboje.com/eagle ) is the second program of Antenarrative Storytelling Foundation. Legacy Ranch has Equine-Assisted-Growth-Learning-Events (EAGLE) activities as well as spaces for veterans and family members to decompress after employment. It is initially one, and in the long-term several ranches dedicated to services and ongoing research that help veterans (& their family members) make the transition after deployment to sustainable- economics, living, health, and community participation. One of the activities is equine-assisted care for veterans (and family members) using groundwork. Veterans and family members stay in cabins for weekend, week-long, or month-long decompression activities. Decompression means being in nature, being with animals, and being with family and friends to decompress after combat or post-combat military experiences. The purpose is to help veterans and family members who experience the stress of deployment to reintegrate. Another activity is ’embodied restory process’ that is part of ‘material storytelling’. Material storytelling uses sandtray events, and can include equine-arena work, where material objects are places in a space, by facilitators and/or by veterans (& family members) to depict their past, present, and future. Other activities include working with nature, with ranch animals, and having counselors available for confidential help with veteran and family issues. We also anticipate acreage to do homeless retreats. It is initially one, and in the long-term several ranches dedicate to services and ongoing research that helps homeless make their transition to sustainable socioeconomic living and community participation. Activities include ’embodied restorying process’ of ‘Material storytelling’ using sandtray, and/or arena work. Homelessness does not end when a homeless person gets a tent, a cabin, an apartment, a trailer, or a home. Homelessness ends when the person enters a sustainable economic, health, living, and societal relationship. Tent City Solutions – A third program includes writing of books based on our involvements with and do consulting that brings about Tent City Solutions (http://tentcitysolutions.co ), and also helping other veterans and homeless to write books focused on antenarratives of their experiences, that are beneath or covered over by the official or public narratives of a city or its agencies. Our focus is on the people not going into shelters, missions, or other transitional programs. Big Story Conference (http://bigstoryconference.com ) is the academic and practitioner-scholar program of the Antenarrative Foundation. It is an annual conference that connects academic scholars with something to say about ‘antenarrative’ research, theory, and method to corporate applications of ‘antenarrative’. Those applications include the field of ‘organization storytelling,’ ‘storytelling organizations’, ‘Material story’, ‘Material storytelling,’ ‘quantum storytelling,’ ‘fractal change management,’ and related topics. Big Story Conference is the 2015 iteration of Quantum Storytelling Conference, now in its fifth year. The Antenarrative Foundation, through Big Story Conference, and other activities described next, raises money to support Antenarrative Foundation programs. The heart-of-care for veterans and homeless of a city, its many organizations is happening in the city and county I call ‘home’ as a Vietnam Veteran, as president of the fledgling Antenarrative Foundation. Care is being constructed in many different ways by the network of organizations, of which we are very much, on the margins, not even on the periphery of the network of longstanding interorganizational relationships. It takes a village to care for the veterans returned from war, and that same village to care for the homeless in a form of global capitalism where almost half of 7.3 billion people on the planet make less than $2 a day (source). A homeless woman dies of exposure, a veteran comes back to the States and commits suicide. Veterans are dying hourly (1 every 65 minutes) in the USA. Homeless are dying at an even higher hourly rate. And that brings me to the point of this post. The problem of establishing Veterans Theater is grounded in our care for veterans stories, for homeless stories, for homeless veterans stories. Are those stories authentic. “but inauthenticity is base on the possibility of authenticity” (Heidegger, # 259). Inauthenticity outstrips its own existential actuality and its ownmost possibility-for-Being-while-in-the-world. The very meaning of authentic Being must remain hidden from the many Other possibilities, the many Other ways of constructing, in our case, Veterans Theater. 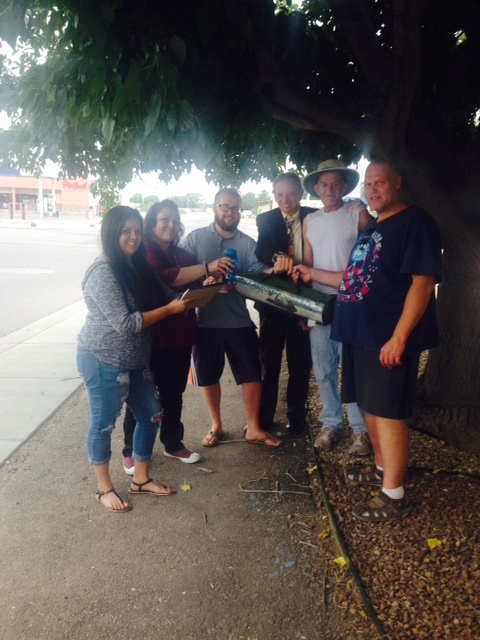 ← We invite you blog about Veterans and the Homeless situation Here!